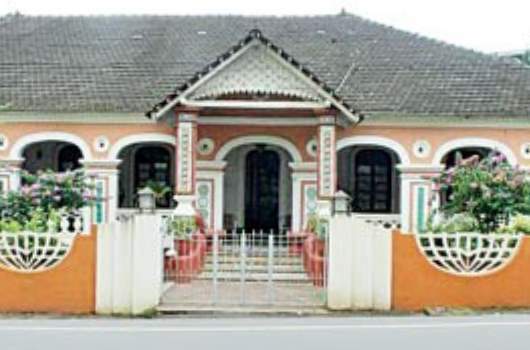 In Fatorda at the entrance of Margao reveals the care that went into the planning of the entrance of a house. The Coutinhos had a well kept garden, the green pleasantly contrasting the red of the masonry seats. They broke the monotony of the red wash and the outer wall, interspersing decorative tiles.